Areas left blank will be left blank on your final product. 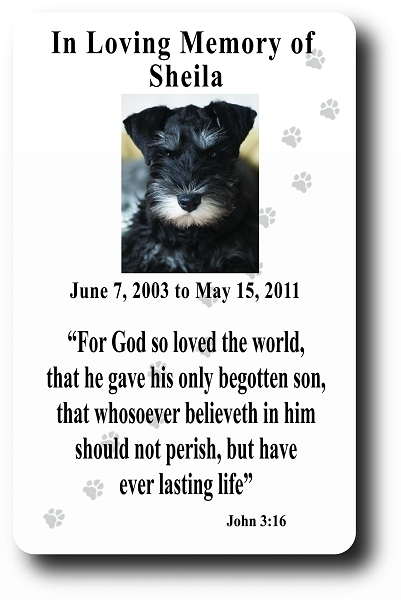 This Colorful Memorial Card conveniently fits in your wallet. High Definition (HD) Printing for Superior Print Quality, Reliability and Durability. Copyright My Color ID. All Rights Reserved. eCommerce Software by 3dcart.